Downloading YouTube videos on your Android phone can be quite difficult since there is no reliable App available for achieve this in Google play. If you want to download YouTube video, first you should obtain the link for the video which you are planning to download. There are various techniques to copy the video URL from YouTube and you can try something which is easier for you. You can use browser like Dolphin or Opera Mini and visit the YouTube website and search for video which you plan to download. Now click the share button while you are playing the video and you can find an option for sharing video through SMS. You can choose that and you will obtain the URL through message from which you can copy the URL. You can also try the same technique with default browser available on Android phone. Another way to obtain the URL is through YouTube video App in Android in which you have to use same share button and select share through SMS option from the pop-up menu. The URL of the video will be sent to you as text message which you can copy and paste to any other App. Once you have obtained the URL video, go to website keepvid.com and paste the copied URL in search box. Once you paste the URL and click download button, it will show list of download link for same video in different forms. You can choose what you require which is Low resolution, Normal or High definition or anything based on video quality and size will vary. Once you choose the required download link, it will automatically start downloading the video and you can choose the location on your phone where you want to save the video. By using above procedure, you can easily download and save YouTube videos. Though option for streaming YouTube videos is available in all smart phones, there is no direct option for downloading them and you have use tricks like mentioned above. Another method for download YouTube video is through TubeMate App. If you frequently watch your favorite videos from YouTube, you can download them and save to your phone’s memory card since watching online directly consumes more battery power and data charges than watching videos stores on your phone. TubeMate is an excellent App for downloading YouTube videos on Android phone. You can download this free App from Google Play by searching for TubeMate in search window from market Apps. Once you download and install this App on your phone, you can follow the below procedure for downloading YouTube videos through it. One important advantage of TubeMate App is it allows you to watch YouTube videos and download them at same time. Hence you can have preview of the video before downloading it. Open the TubeMate App and search for the video which you want to download; it will have 2 options which include watching it and downloading it. Now just click the Watch if you want to have a video preview or Download option if you want to download it immediately. If you click download option, you will find pop-up menu with different options for downloading the video in various resolutions which includes 320 x 240, 640 x 360, 640 x 360, 854 x 480 etc. and also FLV, MP4 or MP3 formats. You can choose the desired format you wish to download and also choose the location on your SD card where you want to save the video. Once the download is complete, you can directly watch the video from your phone and no need to go to YouTube for watching it online every time. 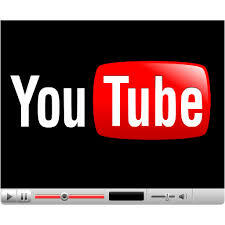 It is one of the easiest and fastest ways to download YouTube videos to Android phones.